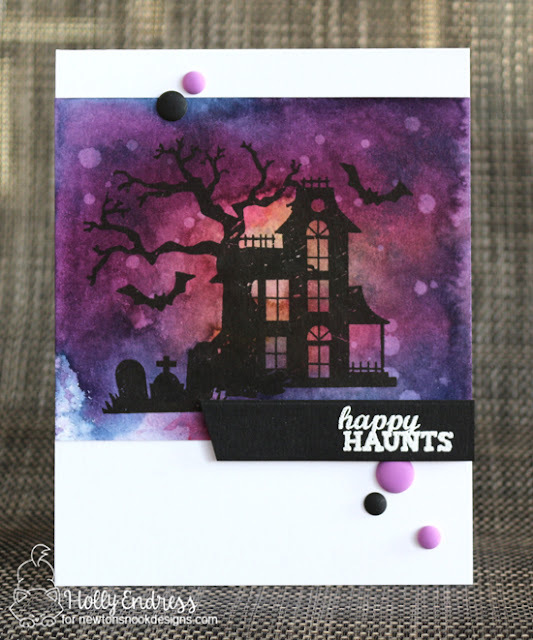 Hollybeary Creations : Happy Haunts!! Happy Tuesday everyone.. 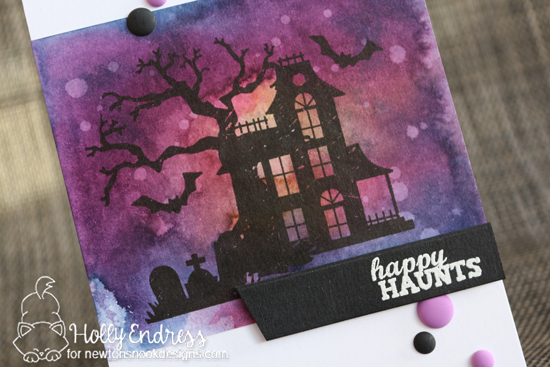 I'm over on the Newton's Nook Design Blog today with a Fun Halloween card. I used some Distress Inks in Squeezed Lemonade, Picked Raspberry, Faded Jeans and Seedless Preserves for the Background on a piece of Bristol Smooth paper. Then I trimmed it up and added the images from the Spooky Street Stamp set with some VersaFine Black ink. I adhered the image panel to a White card base and then I stamped the sentiment and heat embossed it in White. I trimmed the sentiment strip into a Banner and adhered it with some foam tape. Then I added some Matte enamel Halloween dots from Doodlebug designs. Head over to the Newton's Nook Design's Blog for more inspiration from the team!! !